Some goblins have shot down Santa from the sky and Santa has lost his presents in the snow. 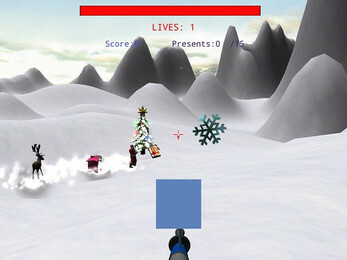 Use the fancy gun he gave you to melt the snow and collect all of his lost presents. The gun has a flamethrower and shoots balls of fire as well as a scanner to see and find the presents ! Melt the snow with your flamethrower and collect all of Santa's presents he lost. WSAD movement and mouse steer. Left mouse click shoots fireballs.Right mouse click turns the flamethrower on to melt the snow. 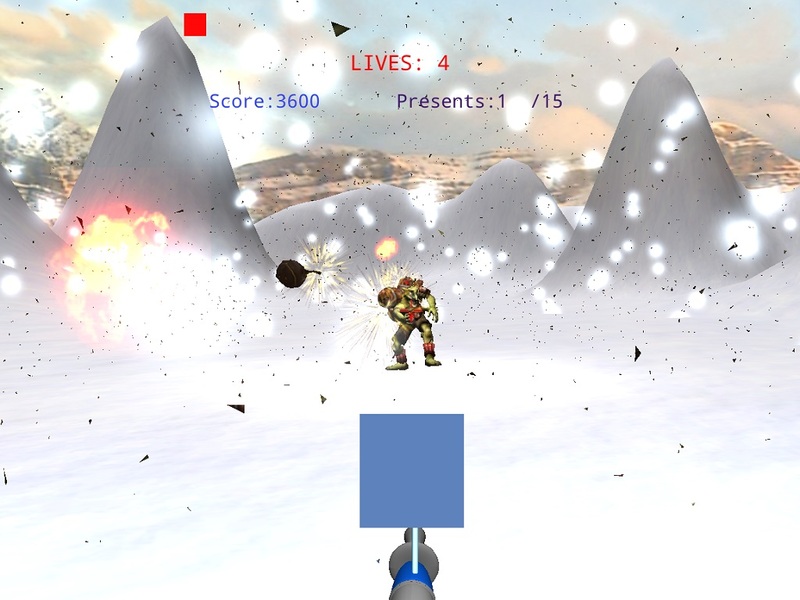 If you melted too much snow and the presents are in the sky still then you can shoot them down with the left mouse button. 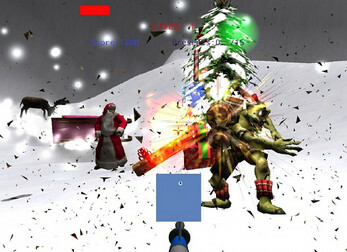 Collect all of Santa's lost presents and try to survive the goblins attacks ! A modern day gaming computer that can play pc games well.